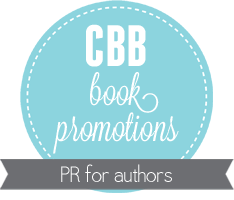 Three Boy Circus: Blade Singer Promo & Giveaway! 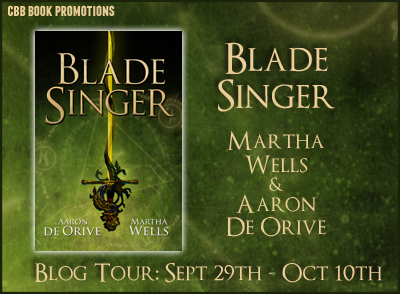 Blade Singer Promo & Giveaway! Thanks for stopping in! I'm happy to be a part of this blog tour because the book sounds so great! Good luck those of you entering the giveaway below! A graduate of the University of Texas' film program, Aaron de Orive began his professional writing career in the video game industry, serving as a lead or senior writer on Metroid Prime 3: Corruption, Star Wars Galaxies: An Empire Divided, Tabula Rasa, Anarchy Online, and Star Wars: The Old Republic. He is also the creator of the fantasy roleplaying game SHARD: World of the False Dawn. 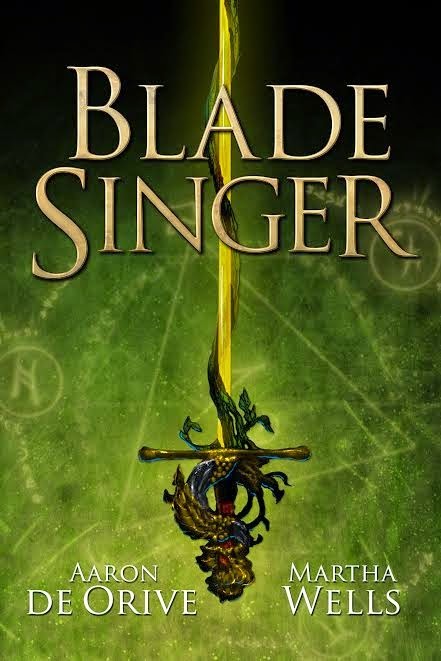 Blade Singer is his first novel. Aaron lives in Austin with his wife, daughter, and two very spoiled terriers.
. Her YA fantasy, Emilie and the Hollow World, was published by Angry Robot/Strange Chemistry in April 2013, and the sequel, Emilie and the Sky World, was released in March 2014. Two collections of Books of the Raksura novellas will be published in September 2014 and Fall 2015. She has had short stories in Black Gate, Realms of Fantasy, Stargate Magazine, and Lightspeed Magazine, and in the anthologies Elemental, The Year's Best Fantasy #7, Tales of the Emerald Serpent and The Other Half of the Sky. She has essays in the nonfiction anthologies Farscape Forever, Mapping the World of Harry Potter, and Chicks Unravel Time. She has also written mediatiein novels, Stargate Atlantis: Reliquary and Stargate Atlantis: Entanglement, and a Star Wars novel, Empire and Rebellion: Razor's Edge.